Cable VoIP modem Compal SBV5120E is EuroDOCSIS 2.0 compatible. It has A-TDMA and S-CDMA modulations, which provide up to three times higher data stream in the opposite direction than EuroDOCSIS 1.0/1.1 systems (30 Mb/s instead of the current 10 Mb/s). In order to ensure compatibility with almost any computer system, SBV5121E contains both Ethernet and USB ports. As all previous SURFboard models, SBV5121E has the ability to support up to 32 users – 32 on Ethernet port or 1 on USB and 31 on Ethernet port. 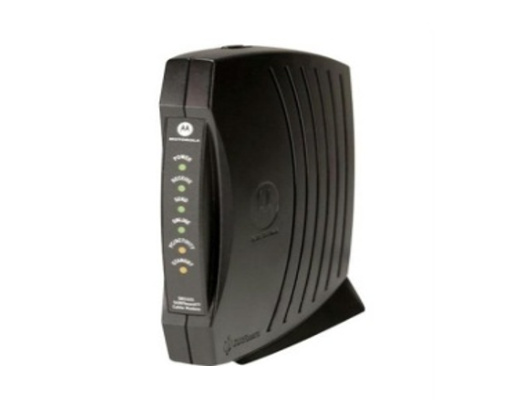 What makes this modem different from others is a built-in VoIP adapter, which enables a possibility of using a telephone connection over the said modem and cable network.